As some of you guys may know, I am a huge fan of off shoulder items. Not only are they comfy, they are extremely flattering as they cover my huge bye-bye arms. I paired a simple white off shoulder dress (which I also bought in two other colours!) with simple black heels and a MCM Bowler Bag. Off shoulder tops and dresses are practically a staple in my wardrobe. What's YOUR wardrobe staple? Do share! Posted in Fashion, Look of the Day, Lookbook, Outfit of the day, Singapore Lifestyle Blog, Womenly Wednesdays, Yours truly.... Tags: lookbook, MCM bags, MCM Bowler Bag, nadnut, nadnut.com - Singapore Lifestyle Blog, Offshoulder dresses, Outfit of the day, singapore lifestyle blog, WIWT on March 11, 2015 by nadnut. I love February! Birthday, Valentine's Day and Chinese New Year. It's a month jam-packed with activities! Am leaving for Maldives this weekend too! Here's a photolog of my February! Am such a huge fan of Etude House. Bought their latest foundation! Hello old Daniel Wellington watch. You have a new brother. Thank you Nuffnang for the lovely dessert plates from Cath Kidson! Birthday staycation from the c(hubby)! We got a suite! Will blog about my Singapore Staycation soon! New device from the c(hubby)! A Kindle! Birthday leave means spending time with the people who matter. The Mothership brought me out for lunch! C(hubby) brought me to Teppei for my birthday dinner! I got a Sashimi birthday cake! Back at work, the colleagues got me a scented candle! I love receiving presents for my new home! Can't wait to decorate it when I get the keys! My suits got me a lovely choc cake! I insisted that they share it with me. Share the carbs! Lunch with the colleagues! Pic koped from Alexis! Bought the Valentine's Day LINE Dolls! 512 1314 7374. Happy Valentine's Day! Food tasting with the girls! Bought way too much for Chinese New Year. Posted in #nadskai, Beauty, Colleagues, Events, Food, Food tasting, Life and Fun, Look of the Day, Love, Nails, Outfit of the day, Singapore Beauty Blog, Singapore Cat Blog, Singapore Food Blog, Singapore Hotel Blog, Singapore Lifestyle Blog, Singapore Staycations, Singapore Staycations Blog, Skincare, Staycations in Town, Womenly Wednesdays, Yours truly.... 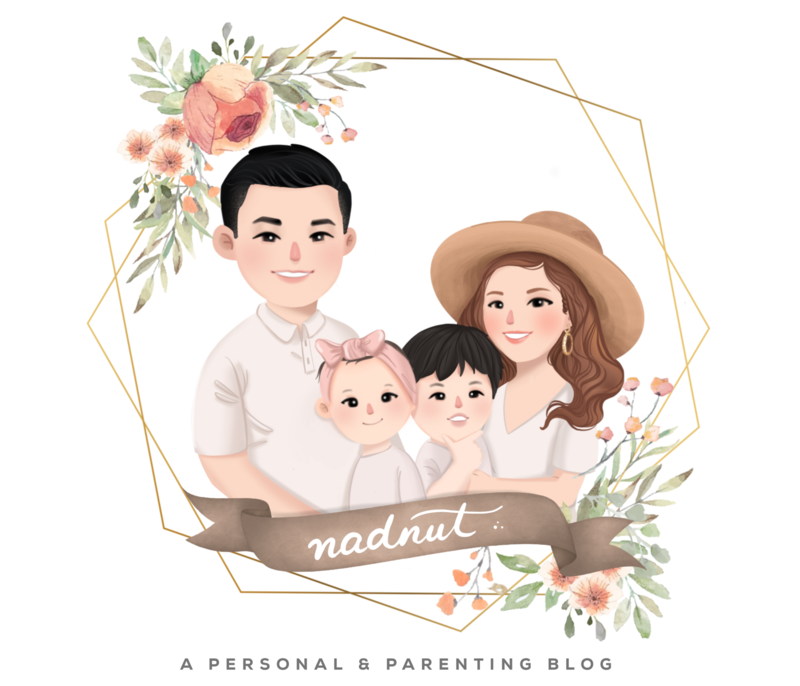 Tags: Birthday Staycation, birthdays, blogshops, Daniel Wellington watches, Etude House Singapore, nadnut, nadnut.com, nadnut.com - Singapore Lifestyle Blog, Shopping in Singapore, Singapore Staycations, Teppei Restaurant on February 25, 2015 by nadnut. How was your Chinese New Year? Chinese New Year is a HUGE thing for #nadskai aka The Sims. Purchasing hampers and delivering them to my sponsors. Usually every year, I would pick out outfits for c(hubby) aka Skai. I would choose a theme, or well complimentary outfits. Last year, it was red and pink. This year, although I had purchase my CNY outfits early, Skai bought his late. Or well, I bought his late. LOL. So... a simple to Bugis Village resolved that. This year's theme is: White, Brown and Floral! Here's mine! With my love for off shoulder tops, it should come as no surprise that I wore an off shoulder top. LOL. I love this cutting so much that I bought it in 3 colours! White, Black and Blue! Paired it with a floral skorts (and yes, I have this in another colour LOL) with heels and my MCM bag! It's also our first year giving out angbaos. LOL. Huat many many folks! What was your CNY outfit like? Do share! Posted in #nadskai, Fashion, Life and Fun, Look of the Day, Lookbook, Love, Outfit of the day, Singapore Lifestyle Blog, Yours truly.... Tags: #CNYOOTD, #nadskai, #ootd, Celebrating Chinese New Year in Singapore, Chinese New Year 2015, Chinese New Year Celebrations, Chinese New Year celebrations in Singapore, Chinese New Year outfits, Couple Wear, lookbook, nadnut, nadnut.com - Singapore Lifestyle Blog, Outfit of the day, singapore lifestyle blog, WIWT on February 20, 2015 by nadnut.